Laurie Neverman is a scientist at heart. 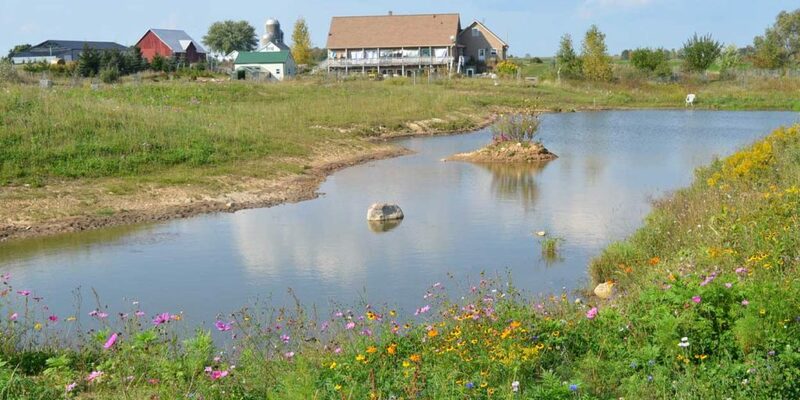 Even when she left a career in renewable energy behind to start homesteading with her family, Neverman turned her homestead into a paragon for low-impact living — complete with the Green Built and Energy Star certifications to prove it. But for Neverman, science is more than complex energy systems. Her blog Common Sense Home chronicles her daily experiments with gardening, natural remedies and self-sufficiency. 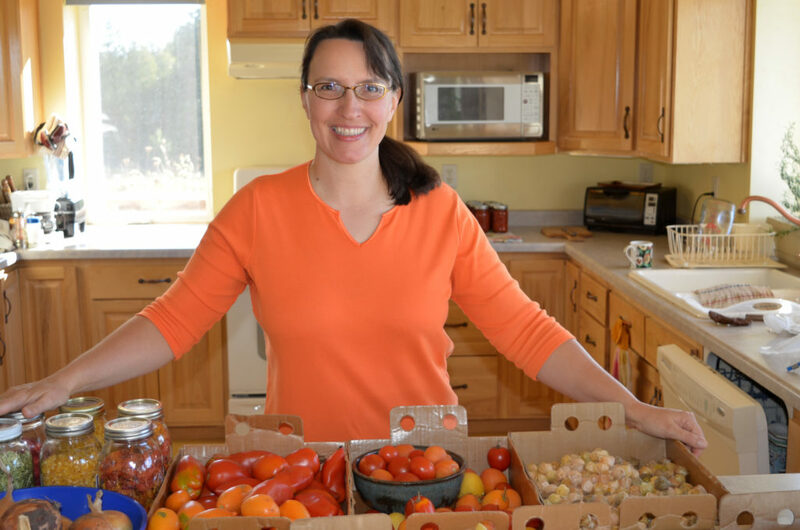 In our Behind the Homestead Blog Q&A, Neverman tells us about her catering background, why she chose “home” over “homesteading” and what self-reliance means to her. Hello Homestead: Tell me about your background. Where are you from, and what did you do before you started homesteading? Laurie Neverman: I was raised on a small dairy farm in northwest Wisconsin. We raised most of our food, and did a lot of baking and home food preservation. After we sold the dairy herd, my mom, my two sisters and I started a family catering business. This was my summer job through much of high school and college. I also did some stand up comedy, modeling and summer camp counseling to pay the bills. After receiving my degrees in math and engineering, I worked at the world’s largest flat plate collector solar water heating system. I was pregnant with our first child when that system was shut down, and shifted to being a homemaker in the suburbs while our boys were very young. We decided we wanted to move out to the country to live more off the land while they were still little, and ended up building our current homestead back in 2004 or 2005. LN: I was born to grow things, fix things, heal things. That’s my happy place. Homesteading is like coming home to the mothership. HH: How have you used your background in renewable energy for a more successful homestead? LN: Our home design includes passive solar heating and natural ventilation. We also have a solar water heating system that ties into our hot water and home heating. This year we hope to add a solar electric system. The house is also Energy Star and Wisconsin Green Built Certified, which reduces ongoing expenses. The modern homesteading movement is embraced by folks from country to city. It’s all about doing what you can, where you are, with what you have. HH: You also used to work in catering. How did this background help in your homesteading journey? LN: I know my way around a kitchen and cooking in large batches, if need be. I’m also used to working long hours for very little money. LN: I started blogging back in 2008 because several friends were doing it. That’s the year my husband lost his job of 16 years, and it was a good outlet for the stress during that time frame. I wanted to share what we were learning with others. In 2012, we switched to the current URL, and decided to make it more of a professional site. HH: You changed your blog’s name from “Common Sense Homesteading” to “Common Sense Home.” What inspired this change? LN: If I had a nickel for every time a reader told me, “I’m not a homesteader,” I would have a sizeable stack of coins. When many people hear the word “homesteading,” they conjure up a vision of something like Little House on the Prairie. The modern homesteading movement is embraced by folks from country to city. It’s all about doing what you can, where you are, with what you have. Our hope was that people would be a little less intimidated by the word “home” over “homesteading,” since everyone needs a home. HH: The tagline for your blog is “using sound judgment to be more self-reliant. It means doing what you can, where you are, with what you have.” What does self-reliance mean to you? LN: Doing what you can, where you are, with what you have. You don’t have to do it all, but you have to own your responsibility for improving your life. Whether it’s eating better by growing your own food, being prepared for everyday emergencies or knowing how to eat those weeds that pop in the yard or use them for medicine, modern self-reliance is about challenging yourself to learn and get things done. HH: Your home is Green Built certified. What does this mean, and how did you achieve it? LN: There’s a checklist of green features a home should include to qualify as a Green Built Home, and we passed with flying colors. When I ran some comparisons of typical energy use for the average use home and our home back in 2006 after we had been in the home for over a year, the stats placed us in the top 5 percent of U.S. homes for energy efficiency. HH: In what ways do you think homesteaders can use science in order to improve their homesteading experience? LN: Science is all about testing hypotheses. You do what you know how to do. When you know better, you do better. In homesteading, we start with our current experience, and a desired outcome – say preserving food. We can tackle food preservation “the way so-and-so did it”, or we can double check to see if the old methods still hold up to current knowledge, or try new methods altogether. This doesn’t mean blindly accepting all current government guidelines, either. For instance, the FDA doesn’t like fermentation much, because there’s all those scary microbes doing the work instead of sterilizing the bejeezus out of everything. They want you to kill your sauerkraut instead of enjoying its fermented goodness. LN: Keeping a flock of runner ducks for garden pest control and eggs. Those duckies are the jam in my jelly roll. They make every day a little brighter with their happy, sassy quacks and enthusiasm for every day. LN: We’re building this place into a permaculture oasis, with abundant perennial food crops. We also keep experimenting with different garden crops and season extension. We’re tossing around the idea of holding some courses here in the future, now that our sons have wrapped up homeschooling. Hopefully, it will turn into a multi-generational household if our sons can find some young women with the same dreams.